Academy Class 207 began their new career on Monday last week. 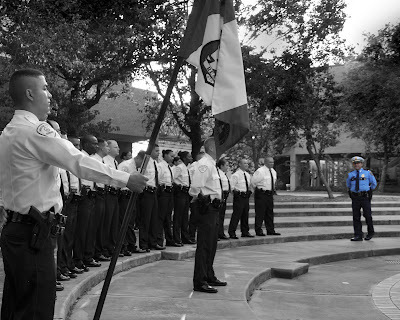 83 individuals (largest class to start an academy to date) began a quest to become one. One big family. Once they complete the six months of training they will hit the streets to begin again. To begin making a difference in their community. Stay strong 207, stay focused 207 and stay true 207. Six months from now you will look back at this slide show and ask yourself..."what happened to my hair?" In honor of Henry, I will not be posting any items until he is laid to rest. The blog will remain silent and dark until Tuesday of next week. God Bless you Henry. You are watching over us from above now. Rest in Peace. 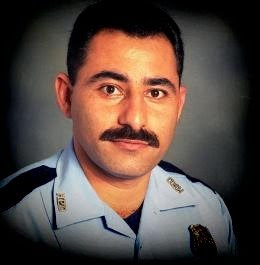 Senior Police Officer Henry Canales assigned to the Auto Theft Division died in the Line of Duty on Tuesday, June 23, 2009. Officer Canales joined Academy Class number 152 on February 1, 1993. During his 16-year career he also served in the Southeast and Northeast Division. Wife, Amor Canales, son, Henry Canales Jr. and daughter, Stephanie Canales survives him. Highway, Pasadena, Texas 77505, telephone number (281) 479-6076. (713) 363-2500, on Sunday, June 28, 2009, from 3:00 p.m. to 8:00 p.m. Cemetery, 8501 Spencer Highway, Pasadena, Texas. 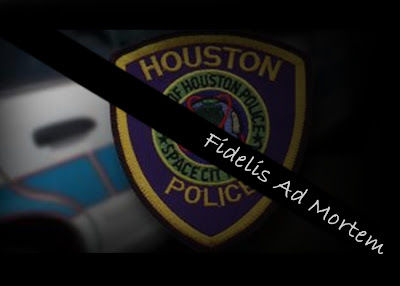 Senior Police Officer Henry Canales, 42, died serving his city while trying to keep our community safe from criminals. Officer Canales served the department for 16 years, spending the last seven of them in the auto theft division. The same division he was working last night when he was shot. "He was very dedicated. Not only an outstanding officer, but an outstanding individual," said Chief Hurtt. "He cared a lot about the people that he worked with. He cared a lot about the citizens of Houston. He was a hero to his family." "Henry's a good man," Lt. Scott Dombrowski said. "Dedicated, loving family, loved his job. He loved what he did and was very good at it." Henry leaves behind his wife and two teenage children. He leaves behind his extended family and friends. He leaves behind his brothers and sisters in blue. In light of today's article in the Houston Chronicle I have already started receiving numerous emails regarding Twitter. 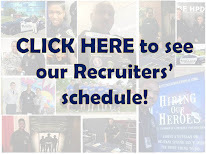 HPD Recruiting is already on Twitter and you can access it by going to this link: www.twitter.com/hpdcareer. 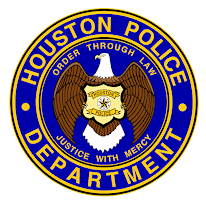 For updated class dates, academy tours, interesting stories and all around HPD hiring news, you will be the first to know! 203 - What Did You Do? Class 203 President Kyle Winne graduated Tuesday night along with 73 of his fellow classmates. As president he was given the opportunity to address friends, family, staff and most importantly, his classmates during the graduation ceremony. Welcome to the family 203. Academy Class 203 graduated yesterday. Tradition held strong as Class 203 held their final roll call as the sun rose above the police academy. Academy Classes 204, 205, 206 and Class 207 (who were there for orientation) watched Class 203 with pride, knowing that they too will soon be performing their final roll call. All the cadet classes will stand in formation during roll call and will announce their names one by one very quickly. Throughout training, roll calls are done the same way every time, every morning. However, on graduation day, such as Class 203, it is done a little differently with each cadet of Class 203 slowing down and pronouncing their name loudly and proudly. Congratulations 203, make us proud. Academy Class 203 graduates tonight! 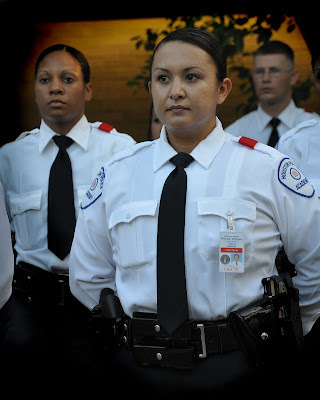 After six months of the most professional training a person can receive the City of Houston will get 74 new faces on our streets this week to help protect and serve. Check back over the next few days for videos and pictures of the "Final Roll Call" and several other videos of interest. Way to go 203, make us proud! 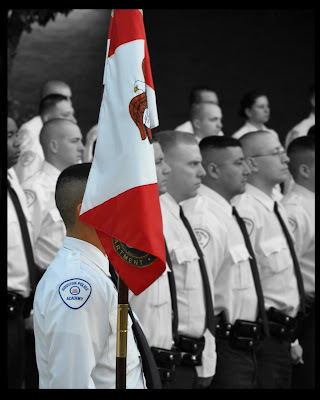 June 22, 2009 is fast approaching and Academy Class 207 had it's orientation this past Saturday. I came across an interesting fact about Academy Class 207. Not just one, but three class members speak and write fluent Russian. Throughout the years we have had Russian speaking cadets, but very far and few between. The odds of having three in the same class are incredible. Sasha Gajic grew up in Croatia (part of former Yugoslavia) and came to the United States in 1997 to attend college. He speaks fluent Russian and English. 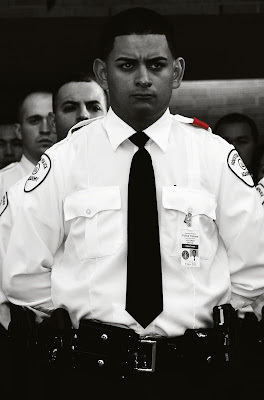 His dream was to become a police officer since he was a young boy. Once he became a United States Citizen, he decided to make that dream come true. Svetlana Menefee was born in the former Soviet Union Republic, Belarus. Both of her grandfathers fought during World War Two; her grandmother was a military nurse and her uncle worked as a police officer. She arrived in the United States in 2000 to attend college and study English. She learned to speak and write speak English in her first year here. She received her Bachelors Degree in Biology from the University of Houston. Once she became a citizen of the United States she thought she would follow in her uncle’s footsteps and become a police officer with HPD. 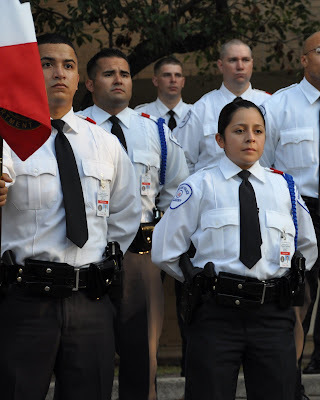 Although she already knows how to speak Russian and English, she feels it is important to learn Spanish to be a police officer in Houston and is currently learning the language. She now considers herself a Houstonian and loves this city. Alex Vinogradov was born in Moscow, Russia and moved to Houston with his twin brother and parents when he was ten years old. He grew up in the Clear Lake area and graduated from Clear Lake High School. He graduated from the University of Texas in 2009. He is bilingual in Russian and English. He told me that he is looking forward to starting his career with HPD and plans to make it a career. This post came to me by email from Officer Michael Herb. He was Academy President of Class 196. You may have read about him in previous posts, if not, I encourage you to type in "Michael Herb" in the search tab on the top of this blog and check him out. He has been with HPD about one and a half years now and is loving every minute. Thanks for the story Mike. To everyone else enjoy. After all, it's the little things along with the excitement that make this career so well rounded. Every HPD Officer has been asked at some point in their career: “Why did you join HPD?” And I think that it is safe to say that we all have given the generic response of: “To help people,” at some time or another. Until recently I never really thought about what I meant by it. I felt like I gave that answer because that was the answer that people expect to hear. 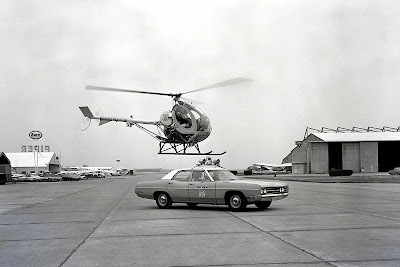 The reality was, however, that I did not know how exactly I was going to be helping people when I joined the department. On that note, I recently had a call that was by far the most rewarding call I have ever been on. While working an extra day shift for a friend, I was dispatched out to a call to lift some fingerprints on a vehicle that was involved in a burglary of a motor vehicle the night before. When I arrived at the location I began to talk to a man who told me his suitcase had been stolen out of his truck the night before. He told me that he had already made a report over the phone so he was just wondering if I could possibly get some fingerprints off of his truck. As much as I was hoping to be able to help him, there were simply no prints left on the vehicle. I dusted all over where the bag was taken from but there were no prints! When I had finished, I told the man the bad news and asked him what type of things were in his suitcase. That’s when he told me why he as so distraught. He told me that he was a doctor and there was nothing of monetary value in the bag, however, there were several medical records of his patients in the bag. I departed from the house and began riding through the neighborhood. I knew that finding the black bag could be like finding a needle in a hay stack, but it was worth a shot. After a short while, JACKPOT! It was my lucky day. Sitting in someone’s front lawn, hidden behind a parked car was the Dr.’s bag. I shoved everything back into the bag and headed back to his house. I remember pulling up to his house and watching the Dr.’s wife grin from ear to ear and scream “You must have found the bag!” I told her “Luck was on my side today.” She then came running at me and asked “Is it ok if I hug you?” I laughed a little. The Dr. had a shocked look on his face. He checked the bag and made sure everything was there. Nothing was missing; all of the records were accounted for. 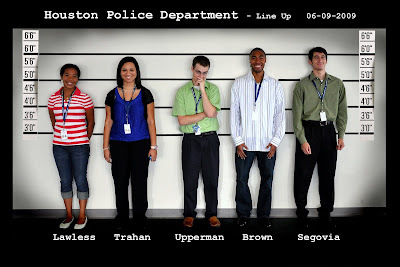 This photo was provided by the HPD Photo Lab. There are several clues in this photo which tell you what year this photo was taken. The first one to leave a comment with the exact year wins a free t-shirt. Make sure you leave me your email address in your comment so that I may email you back for your address. Paul Harvey Aurandt (September 4, 1918 - February 28, 2009), better known as Paul Harvey, was an American radio broadcaster for the ABC Radio Networks. He broadcast News and Comment on weekday mornings, mid-days, noon on Saturdays, as well as his famous "The Rest of the Story" segments. He was listened to by over 22 million people a week. The broadcast I posted today was Paul Harvey's take on police officers and I thought I would share. Rest in peace, Mr. Harvey. The Human Resources Division and the Recruiting Unit welcomed our new interns this week. From left to right we have Samantha Lawless, Brittany Trahan, Gregory Upperman, John Brown and Alexander Segovia. We really look forward to working with you. I hope you have a sense of humor (when I took this picture it was against a blank wall). The number one suspect, I mean intern, has a last name of "Lawless"..."really?" Can you tell which one is the guilty one? I came across an old video of mine which I filmed while on patrol many years ago. I do not remember the call or the situation, I just remember the dog on the roof. I remember that the original call was across the street, but I had to stop and ask the owners of this particular house if they knew that they had a "roofer" on their house. (OK, I know that was a bad joke, give me a break it's been a "ruff" day...ouch, there I go again.) The owners knew about the dog on the roof and actually encouraged it by placing stairs in their backyard leading up to the roof. Strange call for service. Not only are calls for service exciting and unique they can sometimes be humorous. Free Recruiting T-Shirt for the first person to comment what year this video was taken. Look for the clues and the year may come to you. Make sure you leave your email address on the comment, so I may email you back to get your address. Good Luck!